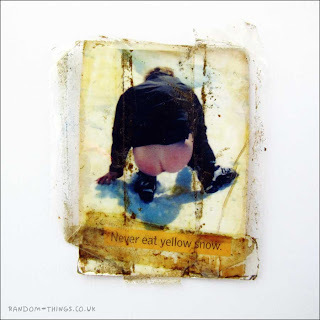 Home » Bodily fluids » Found » Photograph » Random Things » Toilet » Yellow snow » Never eat yellow snow. I found this random thing in a posh part of Bristol and for many years I kept it in my wallet. It appears to be a lady having a lovely wee on some snow - hence the added text. As far as advice goes, I think it's probably a good idea not to eat yellow snow. I've never tried it, but I have accidentally drunk my own urine. Twice actually, but I'd better not go into that now. It wasn't so bad really.